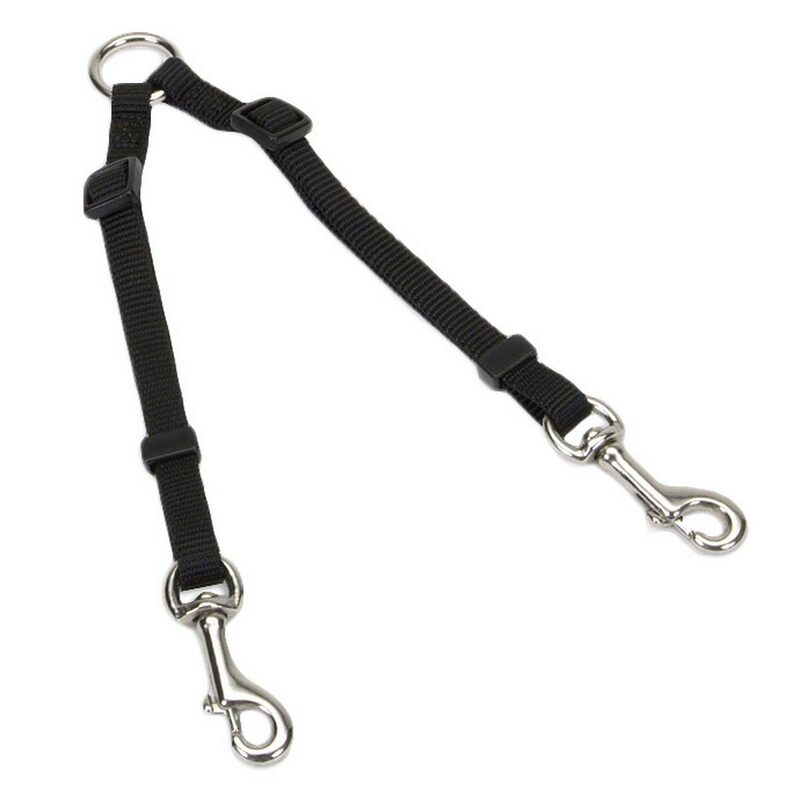 Coastal Adjustable Dog Coupler 3/8" x 24"
Coastal's nylon adjustable coupler makes it easier than ever to walk two dogs at the same time. 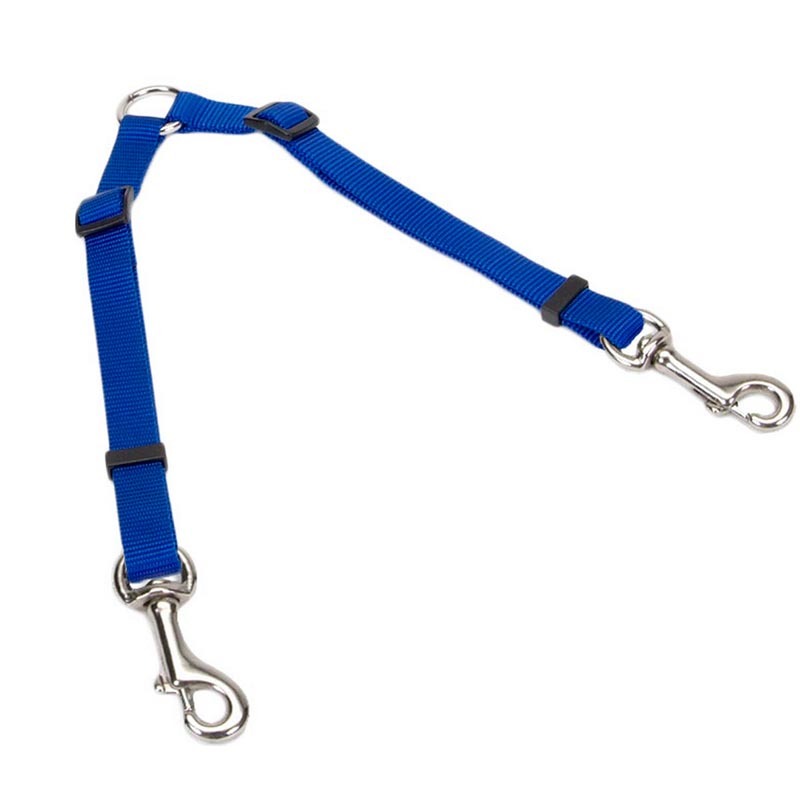 With length ranges of 24-36", this " coupler can be adjusted to accommodate multiple combinations of dogs. Each brace is fitted independently allowing for ultimate flexibility. 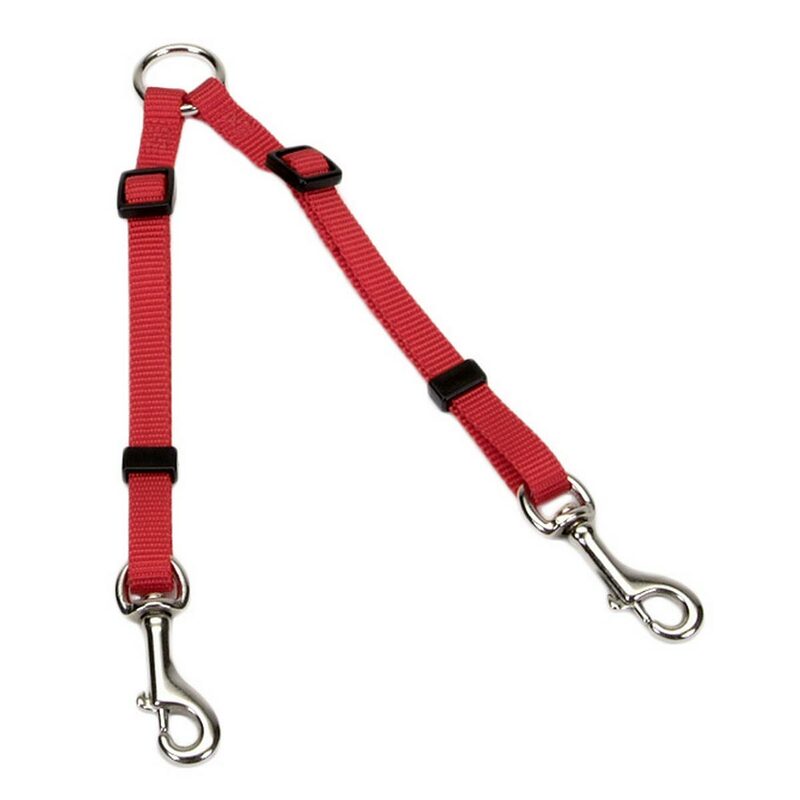 The lead attaches to the center ring while the braces fasten to each dog's collar or harness. Choose Red, Royal, or Black. (3/8' x 24)." Coastal Adjustable Coupler 3/4" x 36"